The latest exciting title to come from Quickspin’s brilliant roster is Mayana. This compelling slot game boasts a very healthy RTP of 96.1% which is sure to impress Quickspin fans. This title comes hot on the heels of previous release Fairy Gate and has all the fabulous storytelling you would expect from this company. 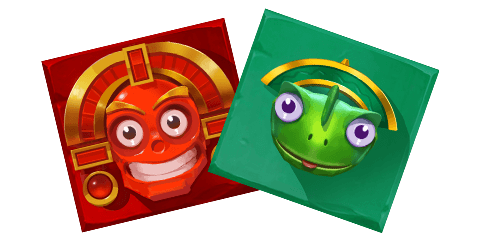 Set in an exotic jungle backdrop, the aim of the game is to try to find the Mayan gold with the help of the animal symbols that pop up. Play Mayana online slot for free to reveal its many superb features. 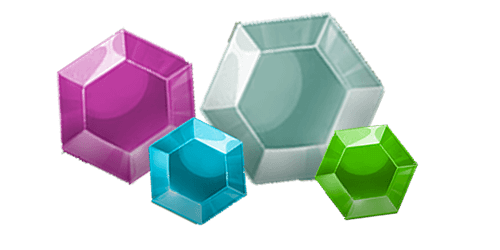 When you feel ready to play for real money, sign up for an exclusive welcome bonus available only at QuickspinCasinos. If you feel like leaving your normal life behind and having some adventure in the Mayan jungle then this is the slot for you! Before long you will be hunting for gold and loving the cheeky jungle creatures you meet there. This game stands out for a number of reasons — the reel setup first and foremost is most unusual. It starts with a 3×3 reel grid which offers 27 ways to win initially. To add to the fun, there are two outer reels that are locked, which players can unlock through hitting consecutive winning combinations. When these are unlocked, the reel setup becomes a 3×5 and the winning options go up to 243! In addition to this, the slot features brilliant Mucho Mayana and Re-Spin games. When the game begins, it starts with the standard 3×3 reel setup and 27 winning paylines. 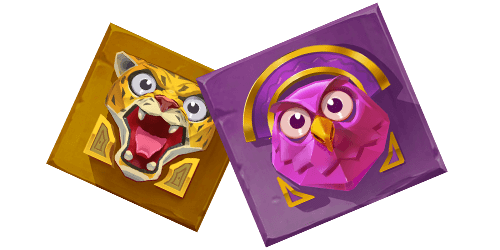 The basic game involves matching up the coloured gemstones and animal mask symbols to make winning combinations as usual. What makes this a great game to play, though, is the extra bonus features such as Mucho Mayana and Re-Spin which can really help you to win some money. Even better, the Re-Spin feature gives you free spins to do this with so there is no extra cost to you! Read on to learn more about the superb features on offer in Mayana. If there is one thing all players love about slot games, it’s re-spins! In Mayana, the Re-Spin feature is triggered when you hit three connecting symbols in a row. These winning symbols will lock in place before any additional matching symbols extend your winning combination by 1x, 2x or even 3x depending on the reel grid expansion and combination you spin. For an even better chance to win big, this game is customised with the amazing Mucho Mayana bonus feature. On the final third Re-Spin, and if the reels are fully expanded, this feature can randomly trigger and lead to a big payout. If you are lucky enough to trigger Mucho Mayana, your payout is multiplied by up to 20x for a nice surprise in your bankroll! The minimum betting amount on this slot is €0.25 per spin, while the maximum betting amount is €100 per spin. The maximum default win on a single bet line in the main game in Mayana is 750x your stake on each spin. This incredible video slot game from Quickspin is fully mobile friendly and available to play on the move via smartphone or tablet. If you’re ready to get started, take advantage of one of our exclusive welcome packages today. Many of our online casino clients have special ongoing deals for mobile casino players.